...I admit I couldn't resist one of current Tschibo offers and I have bought some craft things. 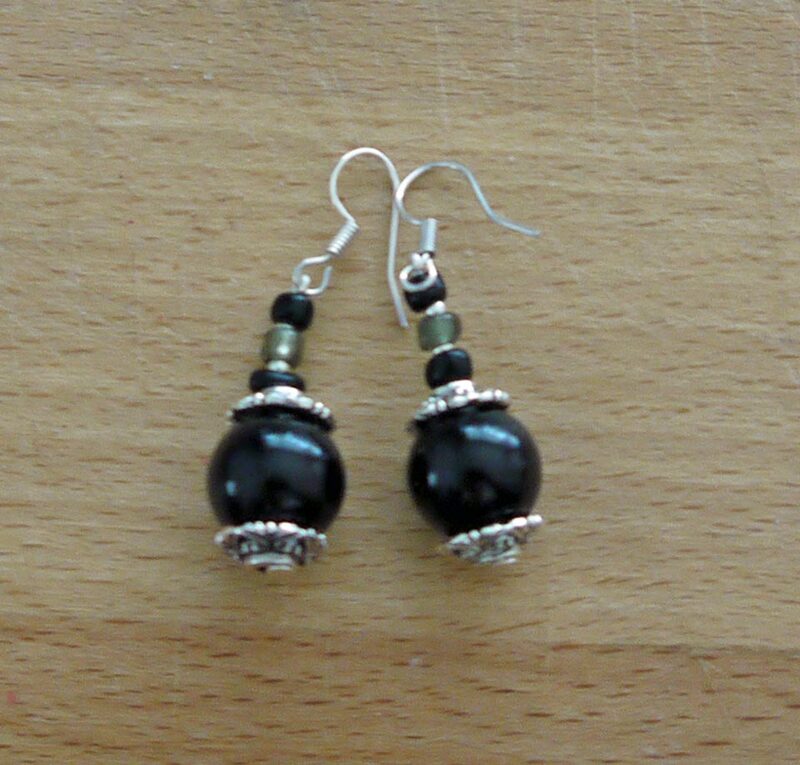 For a long time I have planned to buy everything to create my own pearl earrings, but I've been to lazy (sometimes to busy...) to look what is necessary, but now...haha! Tschibo had everything in sets so I've got them. 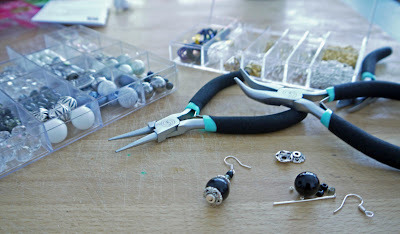 Now I own a whole selection of rings, pearls, connectors and grippers. These look great! Very tempting... 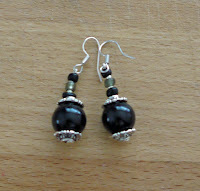 I am just preparing myself to make some jewellery of my own!